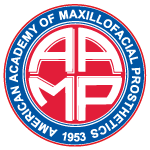 The 66th Annual Meeting of the American Academy of Maxillofacial Prosthetics will be hosted in Miami, Florida on October 26-29, 2019. The meeting will blend a series of speakers to complement contemporary approaches in treating patients with maxillofacial prosthetics needs. Radiologists, Head and Neck Surgeons, Maxillofacial Prosthodontists, Anaplastologists will present contemporary information on their respective topics specifically related to collaborative care of these complex cases. We look forward to welcoming your company to the AAMP 2019 meeting in Miami, as we enjoy our time together in the interests of our deserving patients. The AAMP Annual Scientific Session is planned to be a special event this year with a vast array of clinicians sharing experiences and elective workshops planned for unique cutting-edge technology. Our forum for those presenting posters will also be that which encourages members and those guests who have research or clinical material to share. Social Events planned highlight some of the cultural experiences endemic to the locale and characteristic local flavor. The hotel is special for this annual session as it is competitively priced for several days before the meeting. The hotel is also located adjacent to the ACP Meeting Hotel and may be convenient for those wishing to attend both meetings. The Meeting Venue is nothing short of spectacular as it boasts a grand ocean view with adjacent walking paths to the beach, park via the Miami Beach Boardwalk. Minutes to South Beach, Little Havana and adjacent offshore excursions makes this a very popular venue for tourists worldwide. Please join us and your colleagues in Miami Beach for the 66th AAMP Meeting as it will be a one of a kind event! Visit the AAMP website for information on how to become a member today!